Two months ago Chrissi Nerantzi and myself received an email from Professor Norman Jackson to ask if we could be persuaded to write up our course design and experience of running BYOD for Learning to go into an ebook Lifewide Learning and Education in Universities and Colleges. It will probable come as no surprise that we responded immediately to say we would love to. Chrissi and I used social media tools to plan, write and review the chapter. The key tools used were Skype/Google Hangouts for discussion, Twitter DMs for updates/Q&As, and Google Drive for writing. This enabled us to work both synchronously and asynchronously. It was an incredibly useful learning experience and one through which I personally got so much from. Nerantzi, C. and Beckingham, S. (2014) BYOD4L - Our Magical Open Box to Enhance Individuals' Learning Ecologies, in: Jackson, N. and Willis, J. 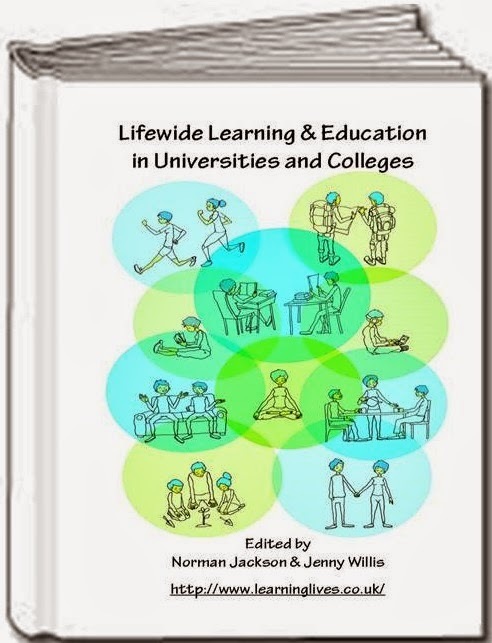 (eds) Lifewide Learning and Education in Universities and Colleges E-book.